2018…Only our 2nd FULL Season & we’re going strong !!! Devil Anse ATV Resort, is located between Gilbert & Delbarton, just off Old US Hwy. 52. We are directly on the Devil Anse Trail, and are considered as being in the “sweet spot”, half way between the Buffalo Mountain & Rockhouse trail systems. Also, just 2.5 miles by road to the top of Horse Pen Mountain where the Marathon gas station is located. Our resort features 5 beautiful cabins and a luxury 40′ camper plus 6 full hook-up rv sites (with easy access for longer RV’s) & tent sites. With more planned for the future. All cabins have gel memory foam mattresses & pillows. The cabins & rv sites all have free cable & wifi access too. Our property has a location for cell service too ! The sleeping capacities range from 6 or 4 persons in the cabins. 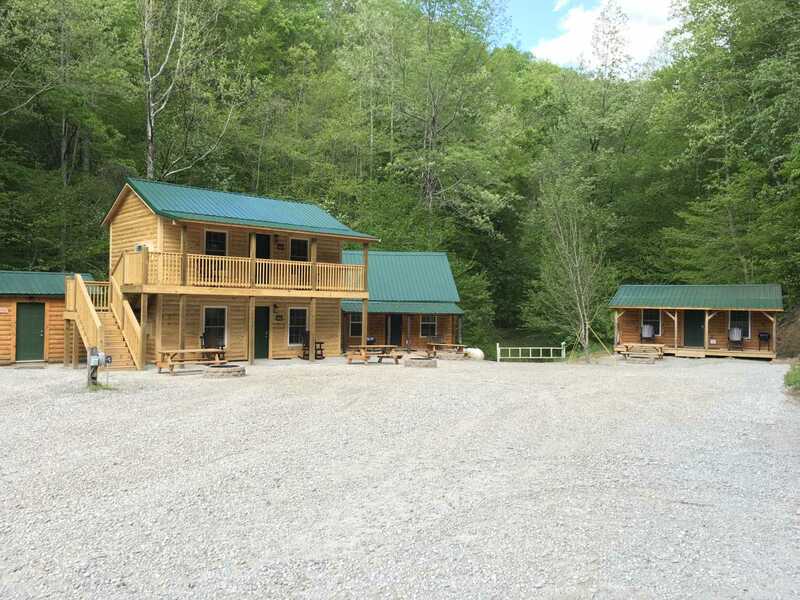 Our cabins are gorgeous…all of them !!! Hatfield~McCoy Trail permits are also available at our resort for convenience, as well as Devil Anse ATV Resort & Hatfield~McCoy Trail souvenirs. We are the only retailer directly on our trail system ! As a matter of fact, we have a new building in the works which will house a new store/check-in area. Amenities include a bathhouse facility, grills, picnic tables, fire pits, gated security 24/7 at both our front entrance & at the Devil Anse trailhead connector, ice machine & firewood. We even have 4 restaurants that deliver to our resort. Our cabins have flat screen TV’s, UNLIMITED hot water for showers, fridge, microwave, stovetop burners, coffee machine and all your basic kitchen needs. Linens, blankets, pillows & bath towels are provided in all cabins. We are thrilled to be a part of the Hatfield~McCoy Trail system family & look forward to welcoming you as our guests to our “little slice of ATV heaven” at Devil Anse ATV Resort. Please visit our Facebook, Google & our website frequently to get a view of the fun we are having at our beautiful resort property. Remember to contact us for available bookings in this 2018 season. Happy trails, come check our resort out when you’re riding even if you already have lodging for your present trip…maybe you’ll think about staying with us on your next spectacular ATV vacation !